So, here's a guide to our favourite Stockbridge bakeries, perfect for our guests staying in and around the area. If you're looking for fun, quirky and totally delicious cupcakes, then Cuckoo! You've found them. This award-winning bakery on Dundas Street in Stockbridge specialises in cupcakes, which you can buy individually, or choose a selection in a gift box. Their sensational flavours, like Sticky Toffee Pudding, Chocolate and Sea Salted Caramel, and Nutella Cheesecake, are really something special. There's even a weekly special cupcake. So, there's always something new to try. Look out for Cuckoo's Bakery Halloween cupcakes in October, which are always lots of fun. Staying on Dundas Street, Archipelago Bakery is a lovely little artisan bakery, serving up freshly baked goods made with organic ingredients and a big dose of love! It's a gorgeous store, producing delicious breads, cakes and savoury tarts. They supply to some of Edinburgh's best restaurants, which goes to show the level of care and quality in their ingredients and baking. We can't resist popping in whenever we're in the neighbourhood, and recommend that you do the same! 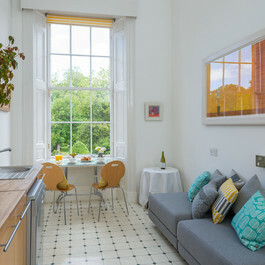 Some of our guests are very lucky to be staying in our holiday homes just around the corner on Great King Street. For special occasions, look no further than Liggy's Cake Company on Deanhaugh Street. They make the most incredible celebration cakes for weddings, birthdays, new babies, Christmas and anything else you can think of. All their cakes are freshly baked and you can choose the flavours, size and design to suit your event. Got a theme in mind? Unicorns and princesses, witches and wizards, superheroes and dinosaurs. Whatever you want on your cake, Liggy's can create the perfect bespoke design just for you! 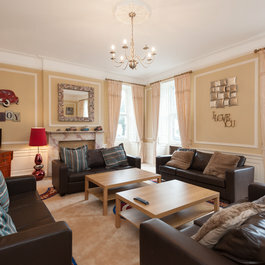 Visiting Edinburgh and looking for some fabulous self-catering accommodation near Stockbridge? 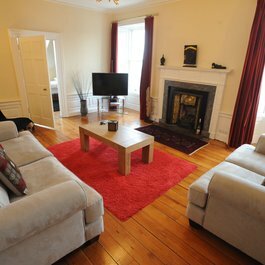 We offer a great range of holiday homes in the city centre. So please take a look and don't hesitate to get in touch if you have any questions at all.